Lego’s latest car creation consists of 1,471 individual pieces to keep you busy. Lego has released some glorious car model kits in recent years, such as the Porsche 911 GT3 RS Technic kit, and, more recently, the Creator Expert James Bond Aston Martin DB5 with a working ejector seat. This latest creation might be Lego’s best car kit yet, or at least one of the more accurate. It’s a classic 1967 Ford Mustang Fastback released as part of Lego’s Creator Expert Series. Developed in partnership with Ford, the replica muscle car is painted dark blue with dual racing stripes and fitted with five-spoke wheels. Consisting of 1,471 individual pieces to keep you busy, this Lego Mustang measures 13 inches long, five inches wide, and three inches tall. While some of Lego’s car creations haven’t looked very accurate compared to the real thing, the iconic muscle car replica looks impressively detailed in brick form. It has working steering, doors, and suspension, a removable roof, a painstakingly detailed big block 390 V8 engine complete with battery, hoses and air filter under the hood, and a fully modeled interior with classic seats, radio, and a mid-console gearshift. You can even customize the car with a selection of optional add-ons, including a supercharger, rear ducktail spoiler, beefy exhaust pipes, front chin spoiler, and a nitrous oxide tank. You can also store items in the trunk and lift the rear axle to give the car a meaner look. Completing the package is a printed Mustang grille badge, GT emblems and a selection of license plates. The Lego Creator Expert Ford Mustang will be available from March 1 for $149.99 at Lego stores or the company's online store. 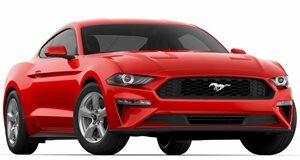 "The Ford Mustang is one of the most iconic, symbolic cars in history – and to bring this fan favorite muscle car to life in brick form, with this level of customization, has been exhilarating. We can’t wait to see our Lego and Ford Mustang fans’ own creations when they get their hands on this new set,” said Jamie Berard, Design Lead on LegoCreator Expert.